Welcome to Rome. Tonight, join your fellow travelers for a special welcome dinner featuring regional delicacies and Italian wines. 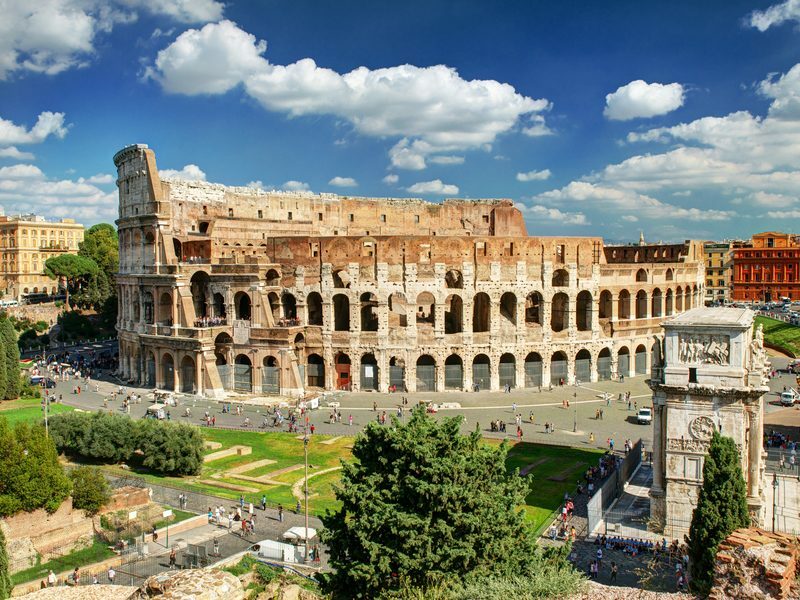 A locally guided tour of Classical Rome features such sights as the Piazza Venezia, the Roman Forum, the Circus Maximus and the Arch of Constantine. During an in-depth visit to the Colosseum, your guide recounts its rich history. The catacombs, burial place of early Christians, the mythic Pantheon, and Piazza Navona are also featured. 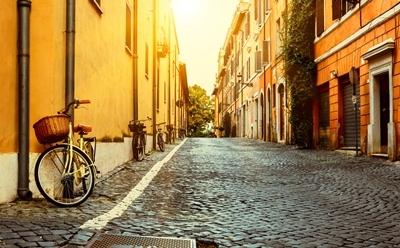 Enjoy a full day at leisure to explore Rome’s cultural treasures. Your Tour Manager will be on hand to offer suggestions. Perhaps a trip to Vatican City, with an optional tour to the Vatican Museums and St. Peter’s Basilica, will be on your personal sightseeing list. Journey south toward the brilliant Bay of Naples where charming villages are built into hillsides above a sparkling blue sea. 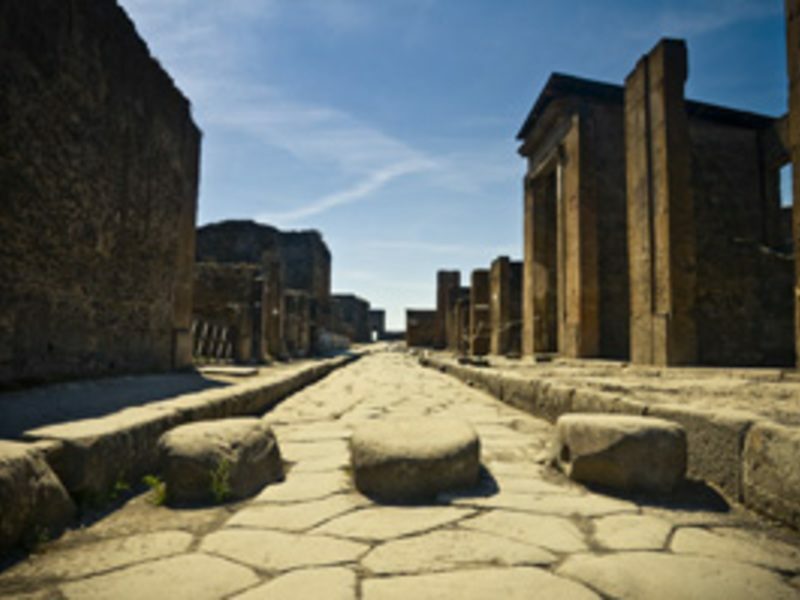 Soak in 2,000 years of history during your discovery of the excavated ruins of Pompeii. A local guide provides an in-depth view of this remarkably preserved archaeological site. Continue to the scenic resort town of Sorrento and take some time to explore the city independently. You may wish to visit the Duomo, a Romanesque cathedral with inlaid woodwork, a famous local Sorrento craft. End your day on the breathtaking Sorrento Coast. A scenic boat ride* brings you to the enchanting Isle of Capri. Upon arrival, take a panoramic ride to the island’s highest town, Anacapri. 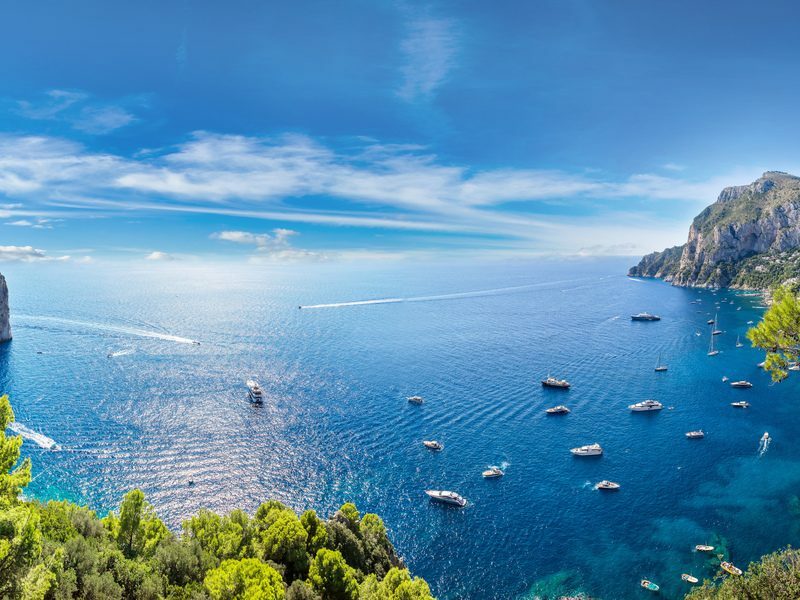 Spend time in Capri town with its world-famous piazzetta and explore this island paradise of chic boutiques, lush vegetation and outdoor cafés before returning to the Sorrento Coast. Tuscany unfolds with its panorama of vineyards and olive groves. Florence, the “Cradle of the Italian Renaissance,” awaits and offers Italy's best art and architecture. Visit the Academy Gallery to see Michelangelo’s magnificent sculpture of David. Tonight, enjoy regional Italian cuisine at a local restaurant. A locally guided tour highlights the Piazza del Duomo, with its Cathedral of Santa Maria del Fiore, and the famous Gates of Paradise on the Baptistery of St. John. You also view the magnificent Piazza della Signoria with its imposing Palazzo Vecchio. 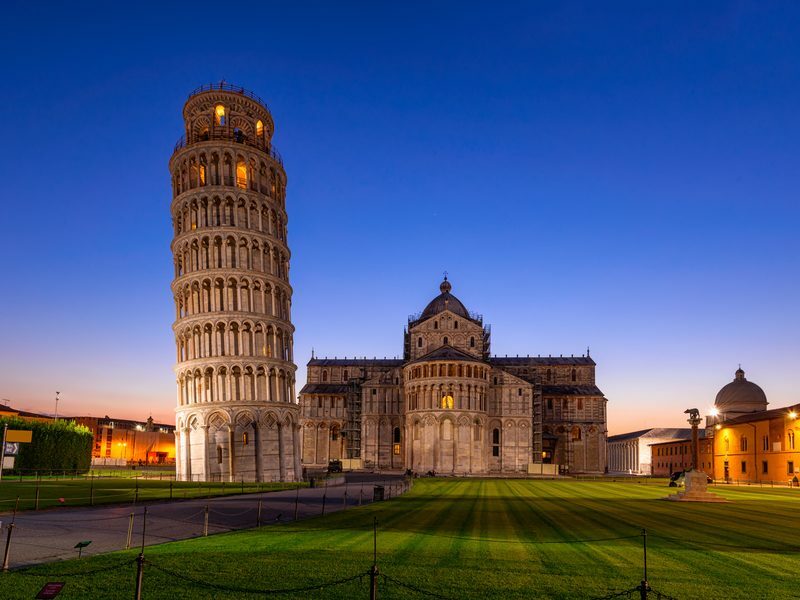 Visit the ancient maritime Republic of Pisa to discover the Piazza Dei Miracoli, the Duomo (Cathedral), and the famous Leaning Tower. A special stop is made at a Tuscan winery and farm to enjoy lunch and sample local wines and specialties. Next, cross the Apennine Mountains en route to Venice where 117 islands are connected by a latticework of 150 canals and 400 bridges. Embark on a boat trip** to Murano Island for a glass-blowing demonstration. Then we make our way to St. Mark’s Square where it’s your choice! Join a local expert who will take you on a walking tour of this famous square to view the Basilica and visit the impressive Doge’s Palace along with the legendary Bridge of Sighs -OR- step off the beaten path and explore the Castello Sestiere district with a local expert; see for yourself how the locals live as you walk canal by canal through the narrow streets lined with churches and historic buildings. The remainder of the day is at leisure. 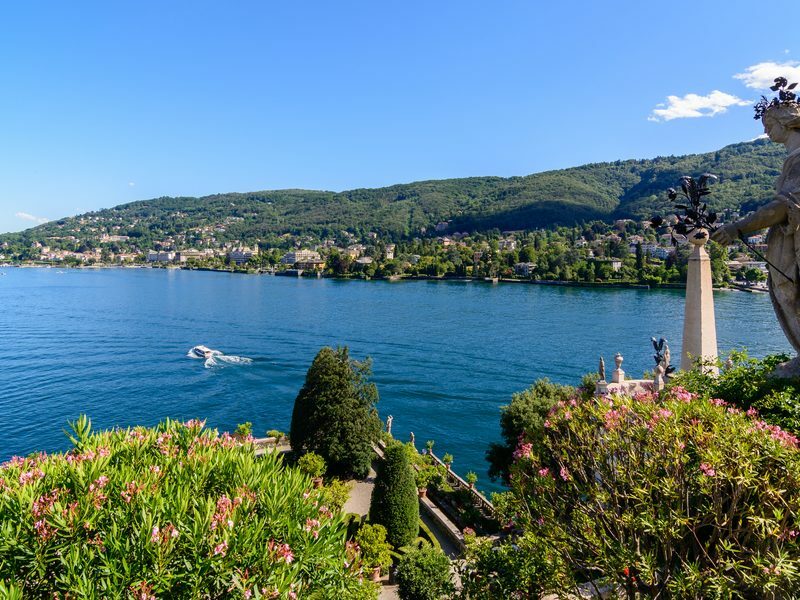 Today, cross into Switzerland and the picturesque lakeside resort of Locarno for magnificent views, excellent shopping and charming cafés. Tonight, we travel by boat to Isola dei Pescatori*** for a farewell dinner while surrounded by beautiful scenery. Your Italian adventure comes to a close today.